Friday nights in the gym quote: Friday night is gains night. Friday night is gains night. Oh yes it is. Friday night in the gym is gains night. 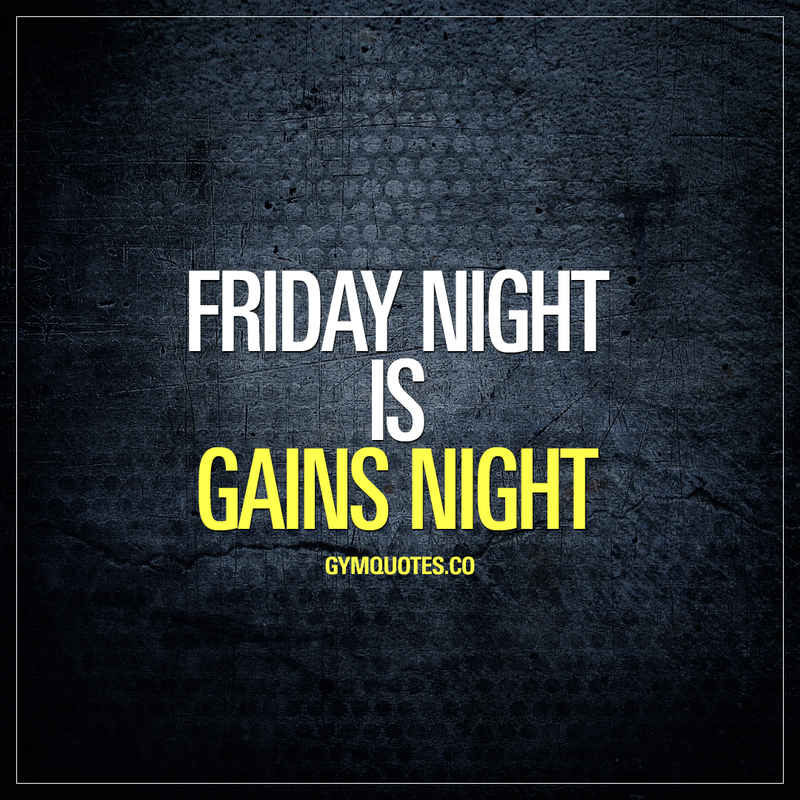 It’s Friday again and we hope that you’ll be making loads of those sweet gains in the gym today! If you’ll be in the gym on a Friday night then this IS the perfect quote for you! Share it with someone today! Also, do not forget to sign up to our FREE newsletter. It’s as always 100% free and 100% awesome.